The historic city of Agra situated on the banks of the mighty Yamuna River in Northern Uttar Pradesh is one of the populous cities of India. It is regarded to be the top-rated tourist destination world-wide because of the splendid Mughal architecture like Taj Mahal, Fatehpur Sikri and Agra Fort. This makes Agra one of the milestones of UNESCO World Heritage sites. Agra. Agra was the centre of Islamic education during the Mughal-era. Later, Britishers introduced the concept of western education. Agra is the home of various good colleges and Universities. 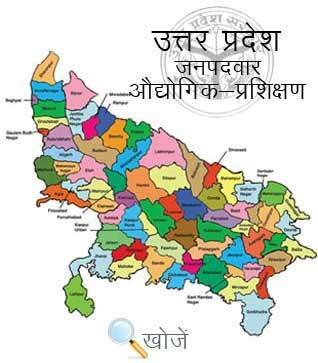 Agra is also one of the centers of industrial Training Institutes in Uttar Pradesh. It has both government-run and privately based ITI colleges and institutes. Some of the best government colleges providing trainings of various trades of industrial training are Government ITI, Agra, Government ITI, Wah, Agra, Government ITI and World Bank Mahila, Agra. Agra also has private colleges providing ITI education namely: St. Johns Technical Institute, UP Technical College, National Institute of Technical Education, MSR Vidyapeeth and many more on the list. Aspiring students who wants to study ITI in Agra can look for the information of various ITI colleges in the official website of UP ITI - vppup.in. They can also check www.upiti.in/agra.php about best colleges in Agra which provides decent training in Industrial Training.